The CICM is the worlds first stand alone College of Intensive Care Medicine. A/Prof Charlie Corke is the President. It is not an easy job to do. It is not an easy job to get. Charlie got there by a path less travelled and he talks about that path, among many other things, in this short interview recorded at the Annual Scientific Meeting of the College. These recordings are the latest in a series of podcasts/blogcasts playfully called “Jellybeans”. They are entirely spontaneous chats with interesting people; short, completely unscripted, 100% unedited and recorded in one take. It is essentially a live recording. The focus is unapologetically on the quality of the conversation rather than the quality of the audio recording. The host of the interview is a fast talking Irish doctor, a jack of all trades but a master of none, a perpetual student and a trainee of the CICM. The “Jellybean” is an itinerant podcast that regularly appears on www.LifeinTheFastLane.com, www.IntensiveCareNetwork.com and many other websites. Over 100 conversations have been recorded with persons of interest. They will appear on iTunes and Google play once the 100th episode is published later this year. conversation follows its own path. The subject matter is usually that which dwells upon the fringes of intensive care medicine; human factors, education, ethics, equality, gender, personal histories, possible futures and all the other challenges that we so often face. Being so they compliment the lectures but do not attempt to repeat them. 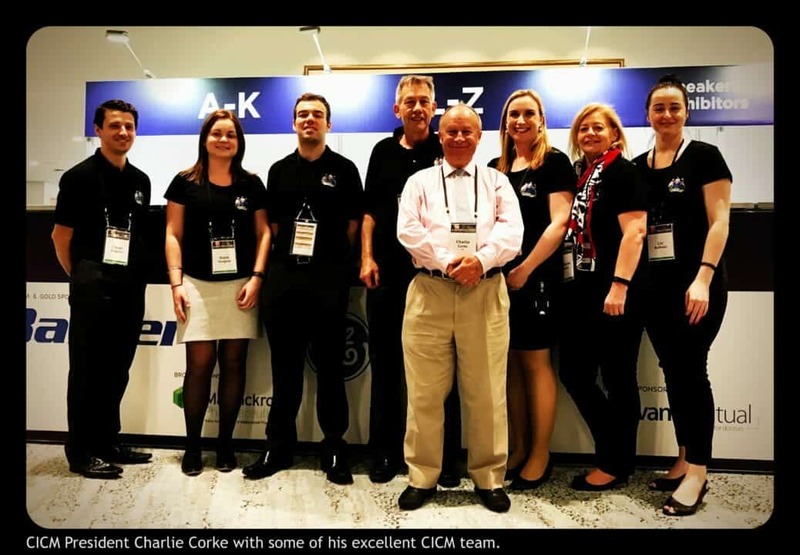 We hope you enjoy finding out a little more about the people behind the CICM Annual Scientific Meeting. The four CICM x Jellybean co-branded recordings are part of a larger collection. It is only these four that are formally associated with the College. Doug Lynch is not a representative of the college and any views expressed are his own.